Facebook in Brazil– how did our predictions from a few years ago turn out? Fabio: Dennis, can you tell our community who you are and some background information about you? Dennis: Fabio, pleasure to join you. 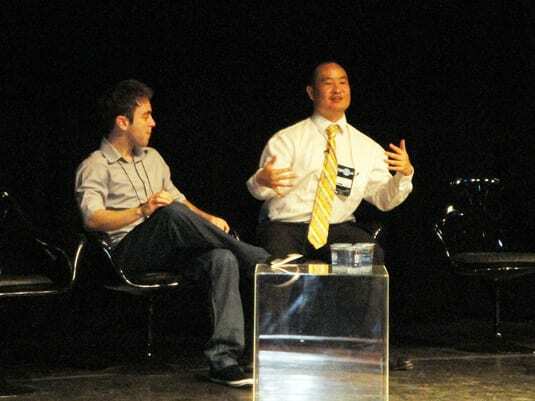 I am formerly of Yahoo and now the co-founder and CEO of BlitzMetrics. We do Facebook advertising for big brands and franchised companies. The beauty of being a speaker on the search engine marketing circuit is that I get to see a lot of interesting places. By the way, I love feijoada and have been to Brazil several times. Fabio: Why did you pick Facebook? Is there a main reason for your choice? What about the sources that you use to learn more about this page? Dennis: A lot of it was just luck from being there when the Facebook platform first opened about 6 years ago and to be one of the first developers when F8 (developer platform) opened in June 2007. The ad campaigns were so effective that we just kept growing. Unlike MySpace, people join Facebook because that’s where their friends are. And the people you see everyday are local. Thus, we have believed Facebook to the secret weapon in local advertising, even though most of the advertisers are big brands. A lot of what you learn is just from experience and working with Facebook directly. Developers.facebook.com and facebook.com ads have good information, but a lot of stuff is just not documented yet. Fabio: We have a problematic scenario here in Brazil where every company whats to create social profiles as many as they can, telling the community that they are “cool” and “listen” to their clients calling this as “social media”. Do you have any tips to the companies that what to listen their audience and get the most from them? Do you have any sucess case to share with us? Fabio: One of the latest ComScore press releases shows that Orkut still leading the Brazil’s social network market, but it shows that Facebook still growing. Do you think that this is the right moment to focus on Facebook and to build a community on Facebook because there are less competition? If you were working here in Brazil, what would you do? Dennis: You want to be where your users are—to spend resources in direct proportion to that. If you are targeting just folks in Brazil and want to place more emphasis on Orkut, great. Open Social allows you to build some great apps if you have the expertise. But if you don’t, you might want to use social widgets from Facebook and build some Facebook pages. That’s very easy to do. If you’re targeting a worldwide audience, then consider what the right mix is there, also based on traffic. Fabio: What you think about this recent partnership between Microsoft and Facebook? 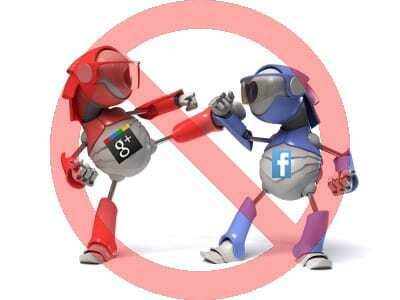 Do you think they can beat Google when we talk about social signals to power the organic results? Is there any special value to Facebook when we see a huge company like Microsoft creating a partnership with an young company? Dennis: I don’t see Google and Facebook as direct competitors. Rather, Google is competing against the yellow pages (which is about direct search intent), while Facebook is competing against the TV set (which is where people go to hang out). Do you see anyone on Facebook searching in the search box for “discount automobile insurance”? Do you see folks on Google looking for what their friends are up to? The bigger picture is that offline media is shifting online, not that online players are fighting one another. In the case of search, I think that Microsoft is sharp and well-funded. They are not trying to “beat” Google, in my opinion, because they aren’t competing head-on. Microsoft wants to be the “decision engine”, which would imply influencing people based on recommendations and conversion relevant information. Considering that people rely upon friends as a purchase filter, incorporating social results into search makes a lot of sense here. Google has failed here in the past. Fabio: Some websites are already using terms like “Facebook SEO”, is it soon to talk in this direction? If the answer is “no”, what are the main strategies to work with? Dennis: It’s true that a well-optimized Facebook page will index well in Google. I wrote an article about that here. Some SEOs are talking about keyword stuffing Facebook pages or injecting keywords into content. That is misguided, as the search analogy doesn’t work in social. Social is about people that are connecting to one another, as opposed to websites that are linking to one another. The dynamic is different. In Facebook, we’re looking for gathering dominant influence, which is independent of page titles, backlinks, keyword density, or whatever else. You need rabid fans who frequently talk about your business—and to gather a LOT of them. Facebook has talked about their EdgeRank and Post Quality Score algos, which is too detailed a topic to get into here, but we can cover later if you wish. Fabio: Concerning groups and fan pages, Many users and companies have doubts which one to choose. Is there a simple guide to make things easier for them? Do you recommend the use of both in case of a company, for example? Dennis: Easy. Use pages if you have a business or cause. If you have a person association (a group of buddies with a hobby), use the new groups. If you have or anticipate having more than 250 members, use pages. Fabio: Do you see any value on Facebook ads? How they can help a company to get more conversions? Are there any good reasons move the money from Google Adwords to Facebook Ads? 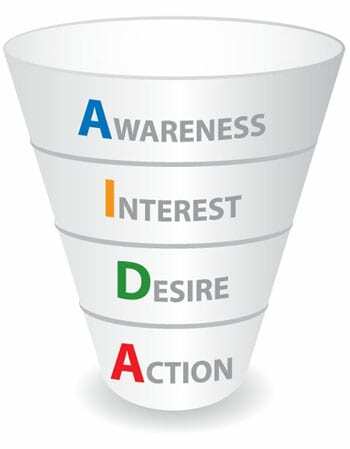 Dennis: Facebook ads are great to drive awareness and interest in the AIDA funnel. Done right, it can drive extreme ROI on e-commerce or lead gen sites. People make decisions based on the trust of their friends. If one of your friends is a fan of a particular restaurant, wouldn’t you be more likely to eat there? That’s what Facebook does to help increase your conversions—to expose that endorsement. Advertising is a quick and effective means to do this, if done right. You should allocate budget based on ROI and we find that Facebook advertising is significantly stronger than general display advertising. If you’re not getting ROI, then you’re doing something drastically wrong. Fabio: Segmentation is a keyword in Facebook Ads. What are your advices to invest in this area to promote a fan page or a profile in the social network? Dennis: Make your ads social. In Google PPC, you align keywords with ad copy and landing pages. In Facebook PPC, you align interests with ads with applications. Most of the folks who complain about Facebook ads not working are not creating tight targets, nor are they sending traffic to a Facebook app (they are sending traffic to a website). Fabio: With Microsoft (Bing), Skype, and other partnerships… What do you expect for Facebook in 2011? Can you imagine some big changes that can affect us? Dennis: Watch for a stronger rollout of Facebook Places and more tools that enable advertisers to link their ads and pages together. Consider what is available in the Google AdWords Editor and that is my prediction of what will be in the Facebook ad interface, except with some social twists. We also believe that 2011 will be the year of “gamification”, where Farmville-esque dynamics will play into the real world. Readers, what do you think? Did the predictions come true?